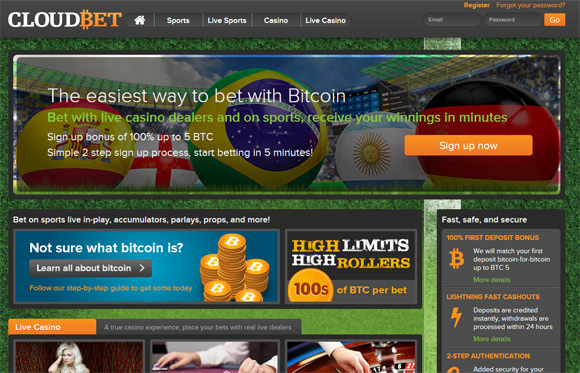 CasinoBitcoin was among the first Bitcoin Sportsbook to offer truly Provably Fair Bitcoin Casino Games, starting with Blackjack and then based on player feedback and demand to continue expanding and enhancing their offerings. 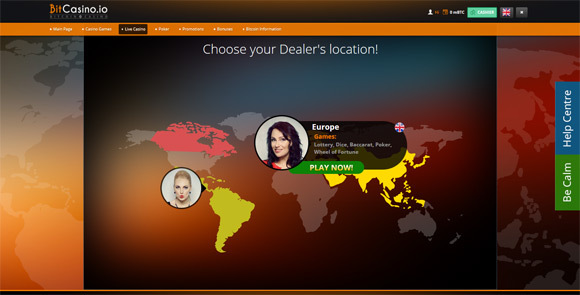 The games are web-based, so no download is required, and you can play all games for free in all browser types and mobile devices. 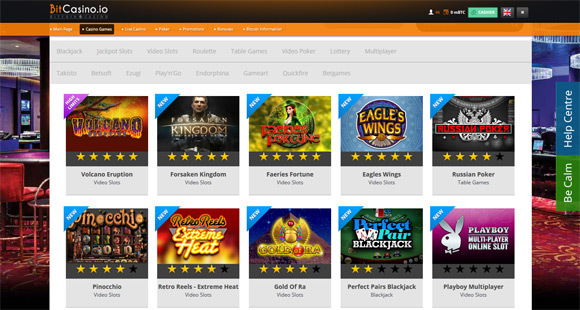 The Casino games you have available to play are Blackjack, Roulette, Baccarat, Video Poker and Hi-Lo, but the service offers more than just that – you can do live betting on sports as well. 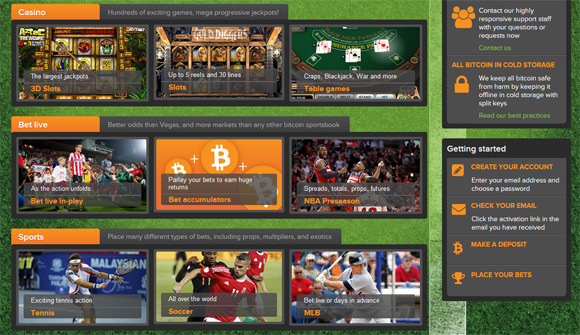 The Bitcoin sportsbook betting covers sports such as football, basketball, baseball, hockey, tennis, soccer, mma and boxing. In order to get started you will need to go over a quick and easy registration process that does not require personal details – just username, password and email. After registration you can enable Google 2 Factor Authentication for an extra layer of security if you want to be sure your account will be protected to the fullest. 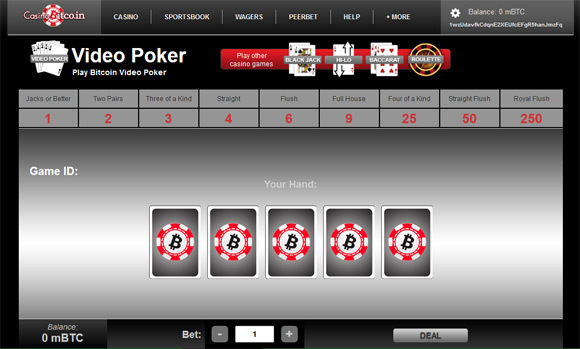 When you register you would need to deposit some Bitcoins in the CasinoBitcoin in order to be able to play, there is unfortunately no free to play or a faucet that can get you started to try out the games. You have a personal unique Bitcoin wallet address to deposit coins at, so you may use an external Bitcoin faucet with it to give it a go without having to deposit your own coins first. Withdraws of your winnings are supposed to be instant and you can get the coins you’ve won directly to your Bitcoin wallet address when you send in a request.